Co-directors Ellen Geer and Christopher W. Jones use a simple casting choice to challenge our modern perceptions of wealth, status and class: the aristocrats are all portrayed by actors of color, with Caucasian actors playing the commoners. Willow Geer takes on the role of Helena with Max Lawrence as the elitist Bertram. Earnestine Phillips plays the Countess of Rousillon, Wayne Stribling, Jr. is the King of France, Debi Tinsley is the Old Widow of Florence, Mark Lewis is the cowardly Parolles, Alan Blumenfeld and William Dennis Hunt alternate in the role of the Countess’ old clown, Lavatch, Melora Marshall plays Lafeu and Chelsea Fryer portrays Mariana. Will Geer’s Theatricum Botanicum is located at 1419 North Topanga Canyon Blvd. in Topanga, midway between Malibu and the San Fernando Valley. All’s Well That Ends Well opens on Saturday, June 21 and continues through Sept. 27, running in repertory with ongoing performances of Lear and A Midsummer Night’s Dream. 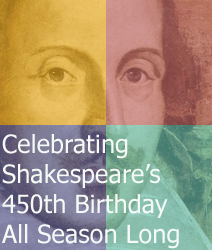 For a complete schedule of performances and to purchase tickets, call (310) 455-3723 or visit www.theatricum.com.